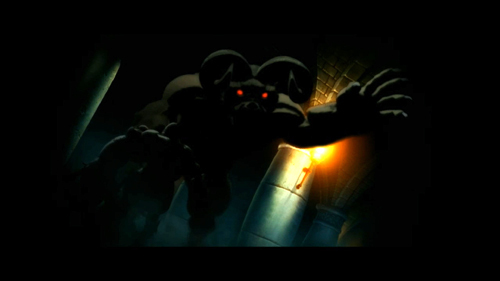 The Berserk Saga is an animation project from STUDIO4℃ with plans to span the entire series, beginning in February 2012 with the first of three theatrical releases set in the Golden Age arc of the series. No further information is available about how future releases will be handled. 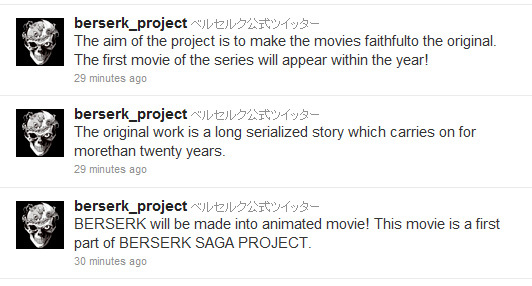 This thread is where news will be gathered about the Berserk Saga Project so you can peruse the history of everything we know about it in one convenient thread. The wraparound jacket band on the 35th volume of Kentarou Miura's Berserk fantasy manga is announcing this month that a new anime project is launching. More information will be provided in Hakusensha's Young Animal magazine and the affiliated Young Animal Web site. Anyway, a series of four TV commercials have also been announced with Gackt as the salesman (well, he's doing the narration). The "Berserk Official Corner" is getting a revamp as well (should happen in about 9 hours), and it looks like they've opened an official Twitter account for the series. The TV commercials will be available on the website along with a special one made only for the web. ... early reports on the first commercial that aired today on NTV were that it is an animated project for television (so, not OVA and not 3D/CG), being produced by ＳＴＵＤＩＯ４℃, who generally does OVA type productions, but have also done some TV (see their full works here: http://en.wikipedia.org/wiki/Studio_4%C2%B0C). 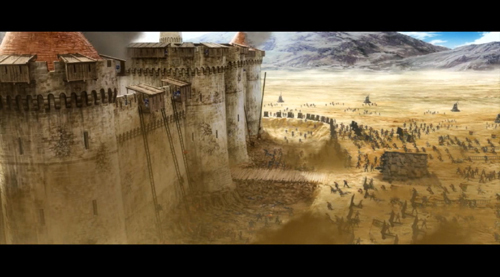 In the west theyre known for doing things like the Animatrix shorts, and Halo Legends. 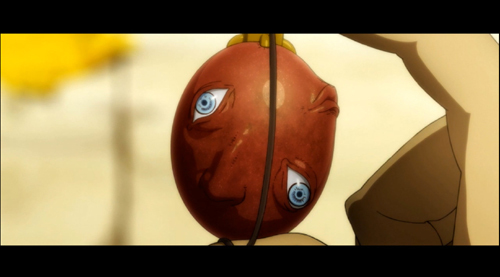 They also recently did an OVA for Detroit Metal City, another Young Animal series. Clicking it links to the official corner, where there's no new information. Just more fuel for the anime fire... 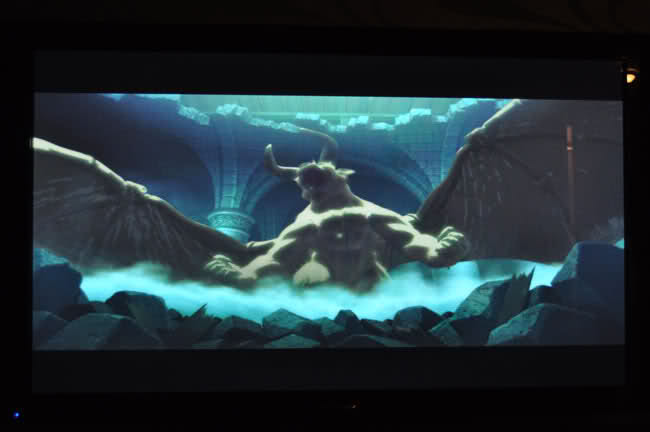 If anything though, it just confirms that THIS IS the anime, folks! The flurry of news ceased in October, and didn't start back until January 2011. "The theatrical release is targeted for mid 2011! ! This is the official announcement!" Some English tweets this time for the English fans. 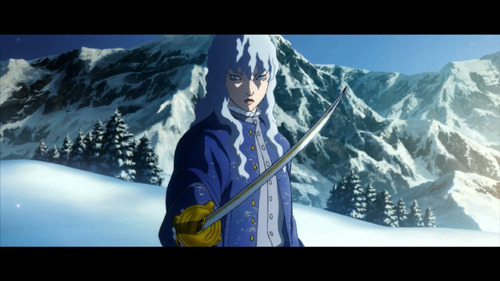 An animated feature film based on the dark fantasy epic manga "Berserk" is destined to hit theaters this year, publisher Hakusensha Inc. said this month. The much-anticipated feature film will be the first part of the "Berserk: Saga Project," in which all episodes of the original comic will be adapted as anime. 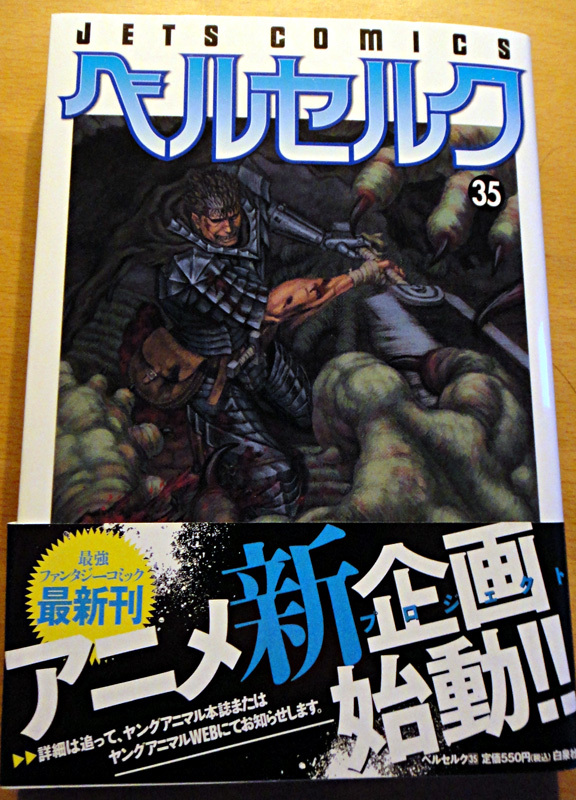 "Berserk," manga artist Kentarou Miura's best known work, has been running in Hakusensha's biweekly Young Animal comic magazine for more than 20 years. 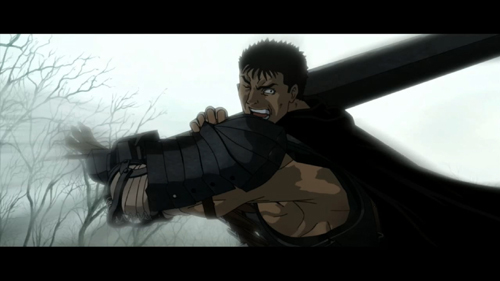 "Berserk" was adapted into an animated TV series in 1997. 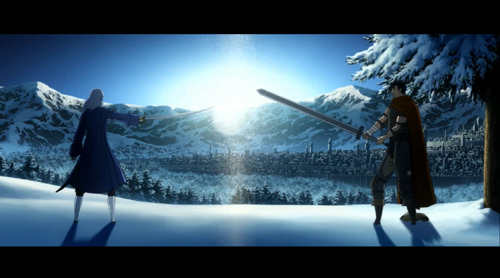 But that series only covered 25 episodes, giving just a glimpse into the epic. In the more than 10 years since, the manga has grown to an even wider scale. 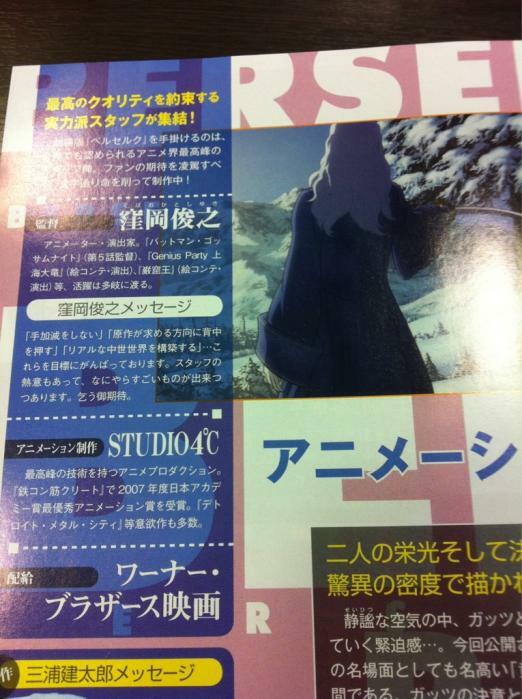 Berserk Saga featured in February 2011 issue of NewType magazine. Indeed, it doesn't say anything new. It's basically just promotional material. Something more or less interesting: the producer says he chose to make Berserk because it's about young people and the main hero, Guts, doesn't surrender to his fate. While the era depicted is very harsh, he has the power to break through the common hardships of his time (implying a parallel with Japan nowadays?). Other than that, they say about how Japanese swords are different from Western ones so they put a lot of effort into depicting the swords faithfully, the armors are well detailed, etc. January 2012! Studio 4c! That's what I can get outta this! 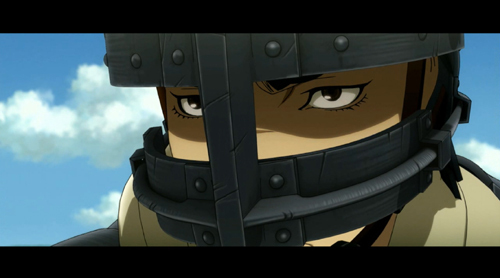 Berserk_project is controlled by Young Animal and used for more than just giving news about the film. 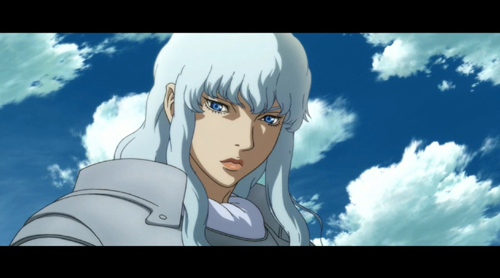 Clara_de_Porras is likely used by the "Berserk Film Partners" (those interest me more than Warner Bros, by the way) and appears to be some sort of roleplay account to tease the launch of the movie. 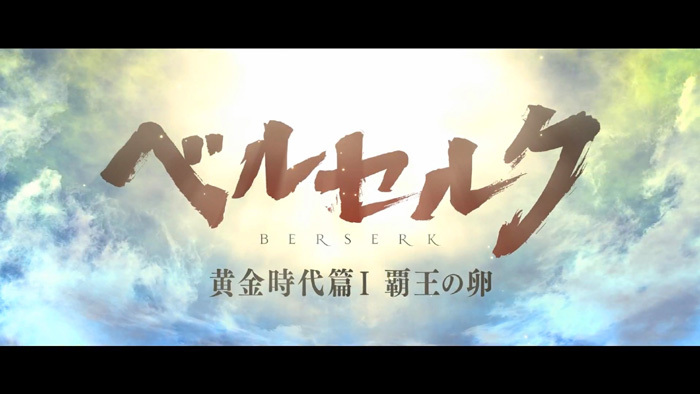 By the way, there seems to be the title of the first movie at the bottom of the website: Berserk - Golden Age I - The Egg of the Supreme King, along with the mention of a "road show" (meaning a nationwide release apparently). 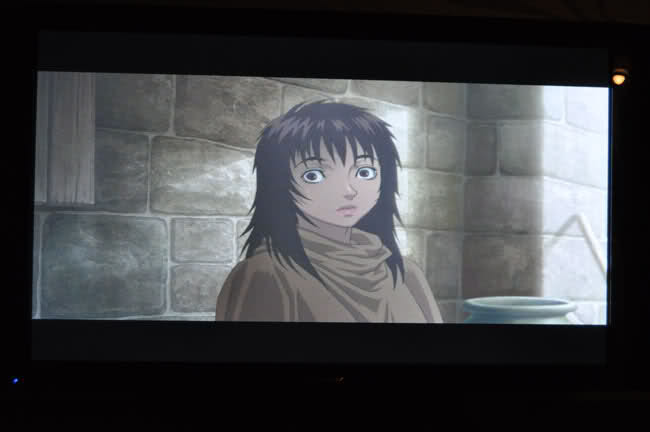 IncantatioN was nice enough to take and share some shots from the anime news section of YA. Portrait of Clara de Porras and the last paragraph mentions the Golden Age arc will be animated into three films. August 15, a new contest for fans began. If you join the Band of the Falcon, after the August 15 you'll have access to a page called "My Page" on the official site. The contest will start on that precise day, even though "My Page" might not be available right away. People who join before August 14 will get 200 pts right away. Those who do after the 15th will only get 100 pts. 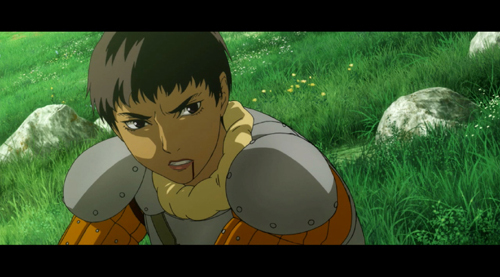 Casca got her title as a leader of 1000 soldiers by fighting. But you can get it by collecting points. If you get a higher position, there are many offers to get (digital privileges, special images, invitations to events) in addition to the final goal of being credited in the movie. According to this website, Susumu Hirasawa would be doing the movie's theme song! If true that should make a few people happy. 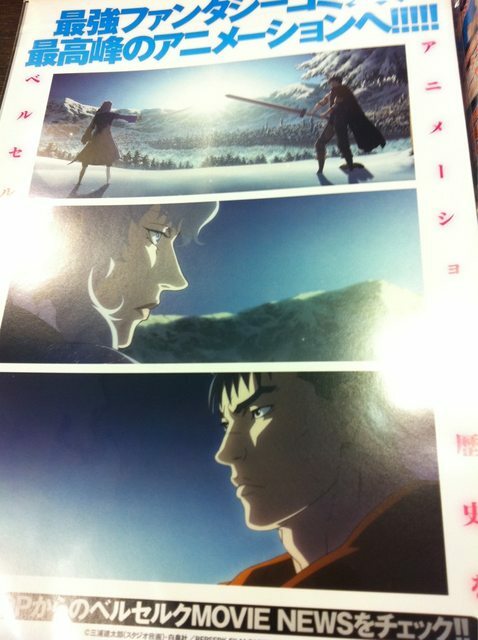 The Japanese Blu-Ray and DVD release of the first Berserk movie will be on May 23. Nice to have it all in one place. Haha wow, starting from the beginning that was quite an epic post ! Nice Post Walter! It's nice seeing it all nicely put together in chronological order. Yay! Thanks Walter! Kinda feel nostalgic already looking at these pictures. Good topic idea and great post Walter! Definitely a good read. 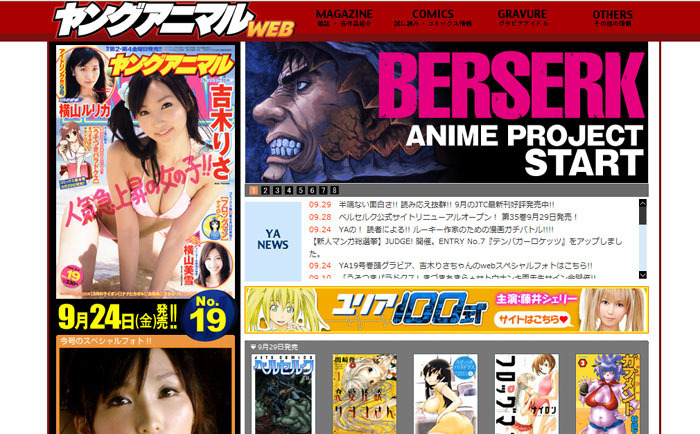 You may want to change the news banner that currently says "A NEW BERSERK ANIME PROJECT IS LAUNCHING." You could change the link to direct to this thread rather than that other, monster thread. Done, thanks for pointing it out! Yes. THANKS WALLY! I feel nostalgic too. Was a great read! I'm sorry if this has been addressed somewhere else and I missed it, but has there been any indication of how widespread the theatrical release is going to be and if it will be subbed or dubbed outside of Japan? No word on a release outside of Japan so far. For future reference, if it's not in this thread, then we don't know it. I hope to be the same musical soundtrack of the old and the anime is the best OST: Earth, Beherit, Guts, FURCES and FURCES 2. Sorry I'm writing wrong. Will there be parts of the series after the movie or not? And I thought my English was bad. FUR-ces? =) I can assure you, you won't be getting the same OST twice. It's just impossible. Oh, would that I lived in Japan....I'd infiltrate the project from the inside and make it the most accurate (art-wise) thing ever. Sorry guys for the bad English before . I have one question. Are the 3 movies going to be telling the story of the old series only or it will be telling the FULL story? The first three movies will cover the Golden Age. I misunderstood that. That is the best news I've heard in weeks! =) Woo Woo! 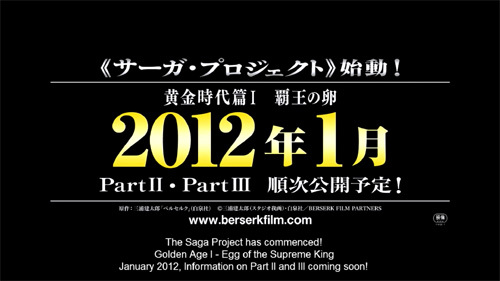 The first movie is called: Berserk - Golden Age I - The Egg of the Supreme King. But it was also confirmed by Clara de Porras. Clara announced something about the release of "advanced tickets" today, saying she'll inform us when she gets the information, and asking that we please wait for it. See the quote below. I'm thinking it might refer to preorders for a preview of the movie before the premiere. She's posted a picture of the script! She says that the movie is in production right now and that the cast will be announced soon. I have to say... That script doesn't look very thick. The typical screenplay for a feature film is between 95 and 125 pages. Hollywood standard is 1 page = 1 minute of screen time. Of course there are a lot of variables that might make this point moot. 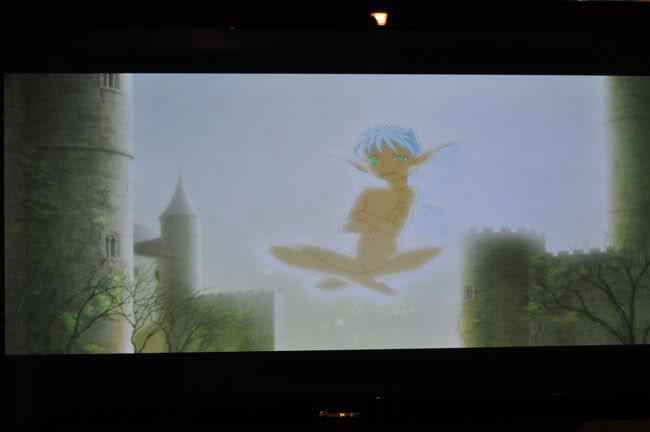 It's an animated film, therefore it might have an entirely different format. However I would think this would make the script even more descriptive, and therefore lengthy. The fact that it's probably written in Japanese characters would most definitely affect the page count in some way, though I'm not sure if it would make a script appear longer or shorter than an English equivalent. Anyone seen many animation scripts written in Japanese? Is there a standard page count for a feature? I appreciate your thought exercise here, but there's simply not enough information in the picture to draw any logical conclusion about the length of the movie. Independent of the variables you listed above, there's also the paper quality to take into consideration. It could be hundreds of pages. It could be 50. It's neat that we have a picture of it, but it's not informative. It does, however, whet our appetite. Seeing the picture reminds me that we're just 5 months away from its theatrical premiere (discounting any early screening), and all we can say for certain is that it will depict the first third of the Golden Age arc. And even that's a presumption, truly. There are still many questions left to be answered. Who will do the soundtrack? 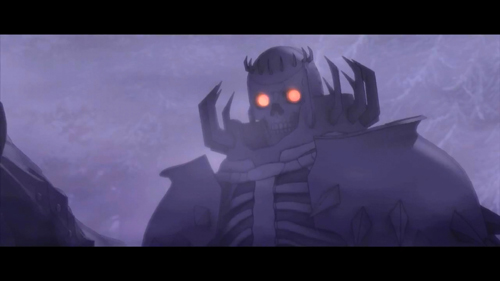 Will the original voice actors be back for this? Will it be shown in other countries? As we get closer to the launch, I also anticipate we'll get more promotional art. That will be nice. 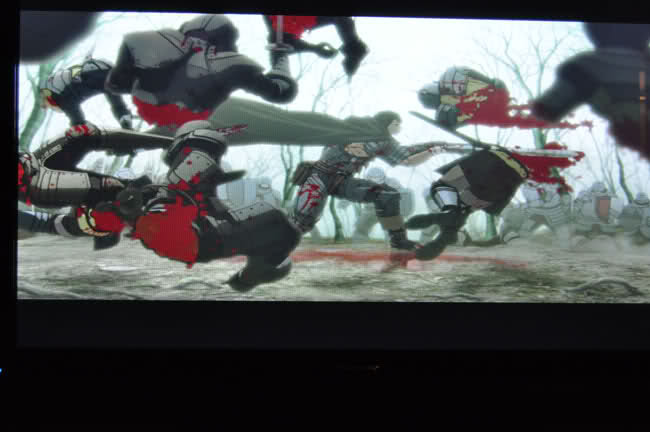 I've seen the trailer about 99x at this point.